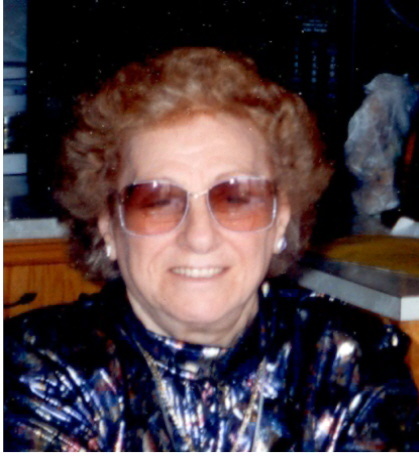 Mary A. Gala, 85, of Hopedale, died Tuesday, November 20, 2012 in her home surrounded by her family. She was the wife of the late Salvatore D. Gala who died in 2005. She was born in Chelsea, daughter of the late Carmen and Concetta (Rogosta) Gala and moved to Hopedale in 1956. She was a graduate of the Chelsea High School class of 1945. Mrs. Gala was employed as a supervisor at the former General Electric Company in Revere for many years. She was an avid George Strait fan and was an avid reader. She is survived by one son Salvatore M. Gala of Milford, two daughters Maryann M. Gala of Hopedale, Brenda L. and her husband George Bodreau of Hopedale, one sister Peggy Stopyra of NH, five grandchildren, three great grandchildren, several nieces and nephews. She was predeceased by her son Charles Gala, three brothers, Joseph Gala, Angelo Gala, John Gala, two sisters, Carol Waganbach and Phyllis Swisher. A funeral home service will be held Friday, November 23, 2012 at 10 A.M. in the Consigli-Ruggerio Funeral Home 46 Water St Milford Ma. Burial will be private for family in the Sacred Heart Cemetery in Milford. Calling hours will be held Friday morning from 8:30 to 10 AM prior to funeral home services. Brenda & George, I am so sorry for your loss. Please take comfort in the fact that you were always by her side. She is home now with your Father and they will live forever together. Brenda, George, Maryann I am so sorry for your loss. My thoughts and prayers are with you. Take care. We're very sorry for your loss. Although we've never had the pleasure of meeting her we've heard wonderful things about her. From all of us at Terra Cotta Pasta Co. in Kittery Maine.